Great interview! I met Ray at Treklanta 2017 and found him to be a dedicated and gracious Star Trek fan and I wish him the best of luck in this endeavor. Thanks for a very interesting interview. Best wishes to Mr Tesi on Stage 9 Studios; also looking forward to Starship Republic. 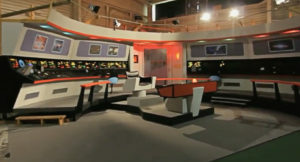 It would be good to credit Starship Farragut for the original construction of the bulk of these sets, and especially Michael Bednar and his team. 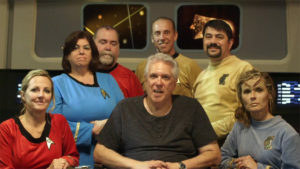 Star Trek Continues was a brief owner. 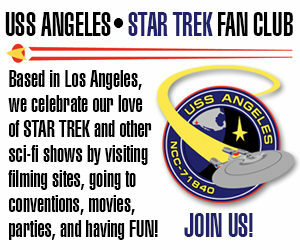 In my “History of Star Trek Continues” blog series, I did just that, Phil. This interview wasn’t about the history of the sets so much as the purchase of them. I fail to see the reason to ask where Ray obtained the funds to purchase the sets..The real issue is what he is going to do with the sets…Its terrific that he saved them and they are going to be used again. I asked mainly because I was curious and thought other people would be, as well. I asked Ray, prior to the interview, whether it was okay to inquire about that. Had he said “no,” I would have respected his wishes. As for what he’ll be doing with the sets, the intention is to open them for use to the fan community. Fingers crossed! It was extremely rude to not only ask about the money, but to continue to press about it after he demurred. Next Next post: STARSHIP TRISTAN Creative Group releases their 12th fan film: “PRIDE AND PREJUDICE”!